It's a mini climate control device for your desk. So. In the summer, our office isn’t exactly the coolest place in the world (the people are cool; the heat is not). So when Evapolar reached out asking if I wanted to try out their tech, I was ecstatic—if you think that I am kidding, check out the Facebook Live that I did as soon as I received it. If you don’t want to watch the video, here is the abbreviated version: It was about 75ºF in the office that day, which was easy for the little Evapolar to handle. It blasted out chilled air, and it made the small area around my desk nice and cool. It was wonderful. Of course, those were just the very first moments. We put it through its full paces; however, before we dive into the full review, lets backup and cover how this device works. Unlike larger, traditional air conditioners, Evapolar doesn’t rely on refrigeration to cool the air. 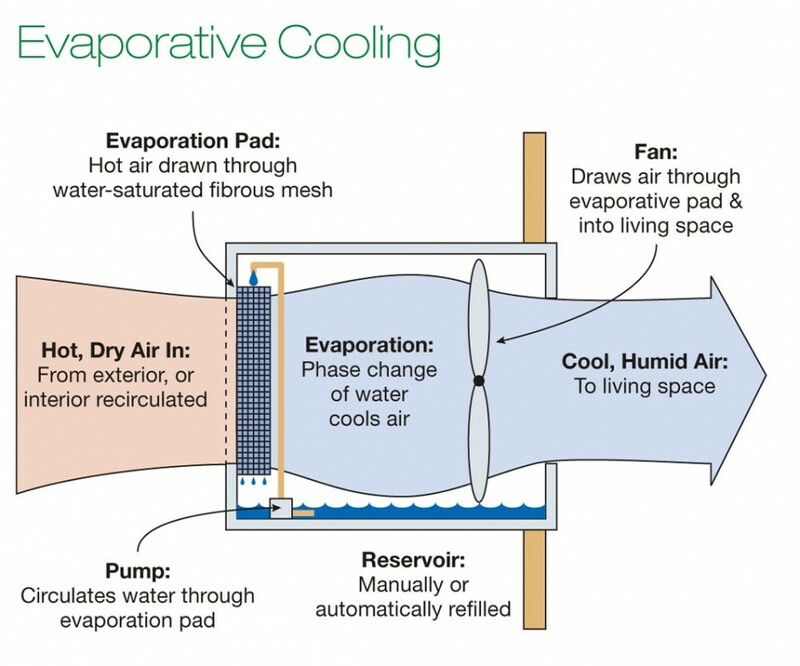 Instead, it uses evaporative cooling. This means that you have to add water to the device, and it will evaporate it in order to help make the air feel cooler. In this respect, its a humidifier. The power, as listed on the website, is 100W-350W (350-1200 BTU/hr). For comparison, most window ACs run the range of 5,000 to 8,000 BTU or more. So this is really about personal cooling, which makes sense, given that it is so small (and portable!). But what this means is that Evapolar is conditioning the air by adding water to it. Yes, this does make the air feel cooler, and if your room is an office with a moderate temperature, this is fine. However, things change when it gets hot and humid. To break things down a bit more clearly, Sam, one of my coworkers, took Evapolar home to give it a try. My wife hates sleeping in the cold, and I absolutely cannot sleep if the room isn’t a to-scale-model of an igloo — hey, I’m Canadian after all. So you can imagine my excitement when I was able to test out the Evapolar unit for my bedroom. I ran two tests: One with the Evapolar on and the AC on, and another test with just the Evapolar on [Editor’s note: Sam is good at using the scientific method to interrogate technologies]. The first night, I was like a little boy on Christmas Day, expecting the air-conditioned-room to be amplified so that I could cocoon under my cover and hibernate for the next 8 or so hours. And that’s exactly what happened. To my pleasure, and much to the dismay of my wife, I woke up frozen and happy. The next night, as I mentioned, I tackled the ultimate test: Having only the Evapolar on without the AC — after all, if this works, then I get extra husband points (as my wife won’t freeze) AND I save money — what a time to be alive! Unfortunately the second night didn’t go anywhere near as well as the first. I had gone to bed in Brooklyn, NY and the Evapolar had transported me the Amazon rainforest — waking up to a severely moist and humid room. I was in hell, and my wife in heaven with a smile to match her new-found tropical destination. It seems the Evapolar, as promising as it seemed, amplifies the temperature of the room in which its running in. This is because the water isn’t really cooling the air; it just makes you feel slightly cooler when the wet air is blowing on you. Translation = if it’s hot, then it’ll only make it damper and (slightly) windier. Further translation – it’s a mini-fan with added water to either make a cold room colder (yay!) or a hotter room more tropical (ugh). My search to find an AC replacement will continue…also, I will likely use it during the winter with the window open to hopefully have it snow in my room. To sum, it is great if you live in a dry area or use it in a place that is already rather mild and cool (like an office that’s just a little warm). It is not so great if it’s humid.